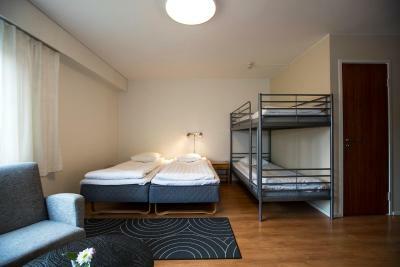 Lock in a great price for Strandnäs Hotell – rated 8 by recent guests! Absolutely perfect hotel. The staff is amazing. They waited for us when we arrived after midnight. The next day, since it was Sunday and everything was closed, and on top of this it rained like crazy, they offered us to keep the room for the whole day for free until our departure from Mariehamn that night. They helped us to look at what is actually open and even drove us to the museum. I'm definitely staying there again next time I visit Åland isles and I wholeheartedly recommend the Strandnäs Hotell. I really liked that this property included breakfast. The rooms were simple, but had everything I needed. It was very quiet. We arrived at 6 AM after walking about 2 miles from the ferry port. The staff were up and ready for us and even allowed us to check into our room. Breakfast is good - hardboiled eggs, cheese, lunch meats, yogurt, cereals, bread and juices. The only other thing I would have liked was scrambled eggs. Coffee was good. Not cappuccino maker but good strong coffee. Bikes are available to rent on first come, first serve basis. We missed our opportunity and went to a bike shop down town. Family room are two twins and a set of bunk beds, sitting area with chairs, table and tv and kitchenette with small refrigerator. Everything was clean the staff was nice and it felt good. Great quiet location. Adequate free parking.Attractive grounds. Breakfast was quite good but not spectacular. A nice and clean hotel a little outside the city center, but easily accessible with e.g. bike. No a/c but it didn't get too hot in the night as we kept the window open. Its a basic hotel with very decent room size. The hotel provides bicycle rental. The wi-fi worked superbly and the parking space was readily available. Not far from the airport but bit away from the city center. The use of a kitchen on our floor, where you could cook or store groceries in a fridge, this was very handy has we had young children. 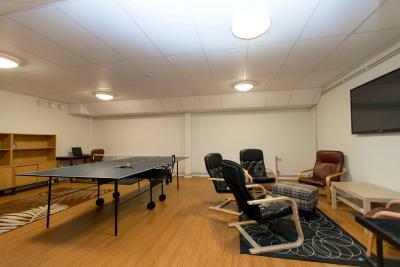 There was also a common room to use for eating, watching TV , the kids enjoyed this space to play board games which was great. Also the opportunity to hire bicycles at the hotel was also nice. 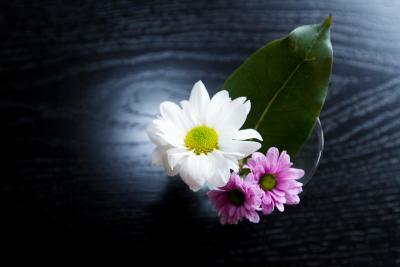 Helpful, friendly staff, nice breakfast, clean and tidy, pleasant location. Would recommend. A fine hotel. Well done. 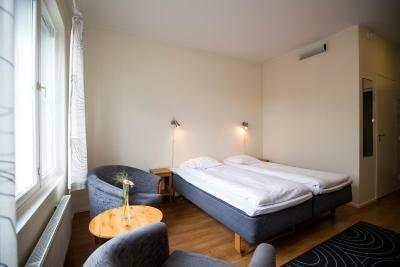 Strandnäs Hotell This rating is a reflection of how the property compares to the industry standard when it comes to price, facilities and services available. It's based on a self-evaluation by the property. Use this rating to help choose your stay! 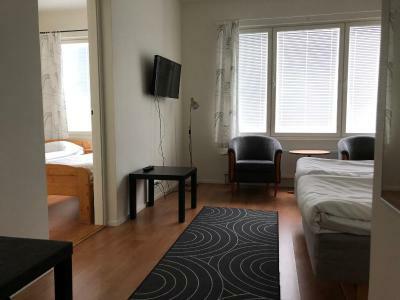 One of our top picks in Mariehamn.Located a 5-minute drive from Mariehamn city center, Strandnäs Hotell offers traditionally decorated rooms with a TV and private bathroom. The ferry terminal is 2.2 mi away. 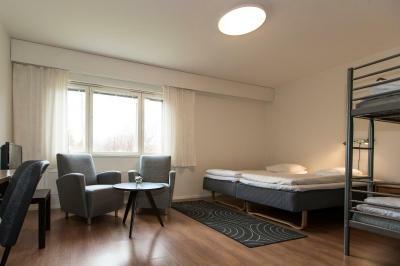 All rooms at Hotell Strandnäs feature a small seating area. 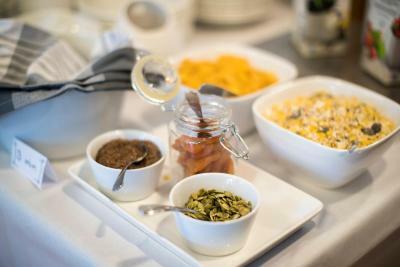 Guests can enjoy a breakfast every morning. Relaxation options include a library and summer terrace. Staff can help to book local restaurants and archipelago tours. The Pommern Museum ship is a 5-minute drive away. Free parking is available at the hotel. 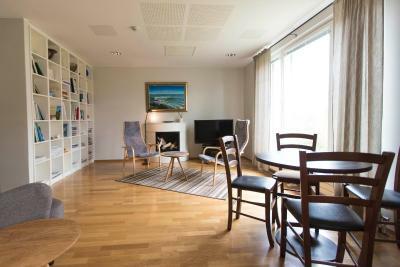 This property is also rated for the best value in Mariehamn! Guests are getting more for their money when compared to other properties in this city. 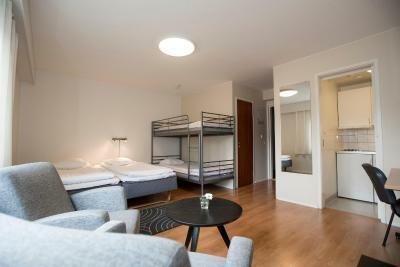 When would you like to stay at Strandnäs Hotell? 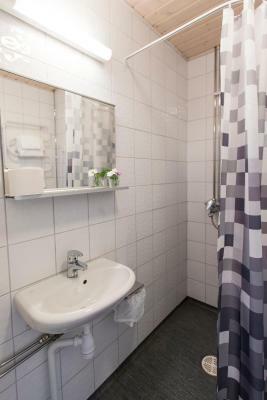 Includes a work desk, TV and a private bathroom with shower. 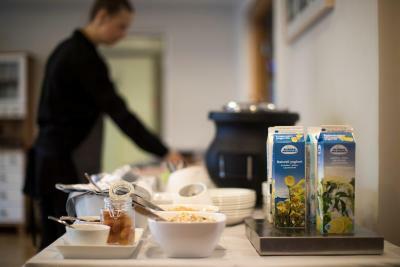 House Rules Strandnäs Hotell takes special requests – add in the next step! Strandnäs Hotell accepts these cards and reserves the right to temporarily hold an amount prior to arrival. Reception opening hours vary according to season. Please let Strandnäs Hotell know your expected arrival time in advance. You can use the Special Requests box when booking or contact the property. The pillows in the bed was terrible and even though the breakfast was ok, nice bread and fresh, it was quite poor for us because we don't eat meat, milk or bread. But this time we did it otherwise we couldn't eat at all. No fan at the room during this very warm period. - No air-conditioning. - Beds were uncomfortable. - The breakfast buffet was a bit lacking, especially for vegetarians. 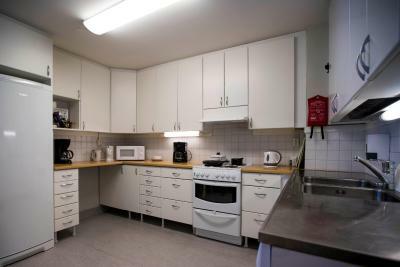 - Room was a very nice size - Location was great - Staff was friendly and helpful, handled both swedish and Finnish fluently. Lousy air circulation in room. Very hot. No fan or AC. Three parties waiting in an area that looked like reception. An employee passed us several times without pointing us in the right direction. Finally the receptionist came looking for us. Stairs to room. No elevator. 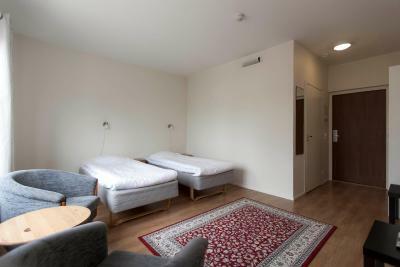 No fridge in room, and basic narrow hospial/prison width single beds. 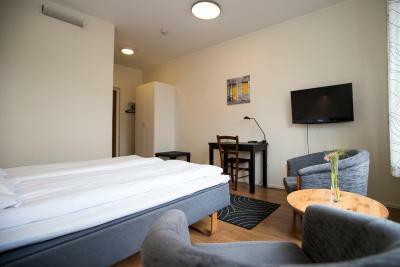 Clean and comfortable hotel with free parking on site. It is a good 2 miles from the ferry and 1-1.5 from downtown. With a bike it is no problem at all. It's just a LONG walk at 5 AM! Comfortable but spartan. Kitchenette had no pots/pans/utensils/coffee maker/kettle. We didn't ask if that was all available at the front desk as we were only there two days. Definitely would be good to have if you were there for a longer stay. The toilet amenities could have been better and few hot items could be added in the breakfast.